These boots were my mom's. She purchased them in Mexico in the early '70's. I do not have the best of relationships with my mom, but I LOVE these boots. 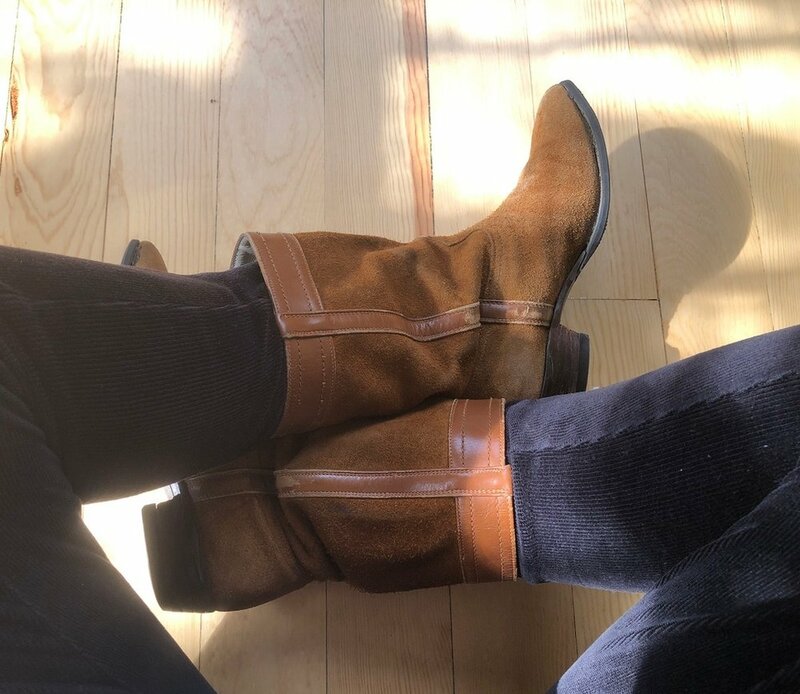 I love the power that I have when wearing them - because I know I can walk in the same boots (even though I've had the stack rebuilt and rest resoled) and not be like her. I am my own unique, strong individual while being in the same boots.